This loop can be an easy day tour, or can be a several days trip depending on one’s mood. I first did this on a day tour, eventually staying overnight in some of the towns. 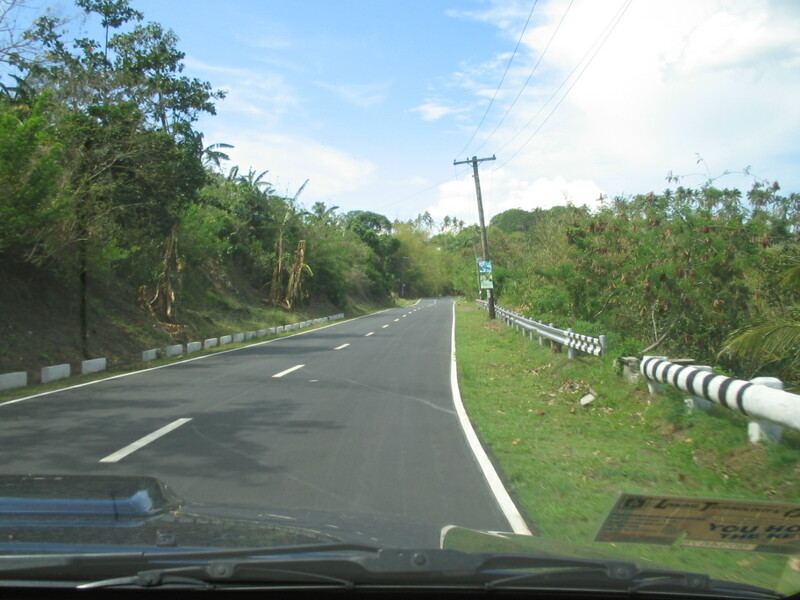 I am writing this as a 2-part blog, dividing the destinations between Laguna and Rizal. This part covers Laguna. 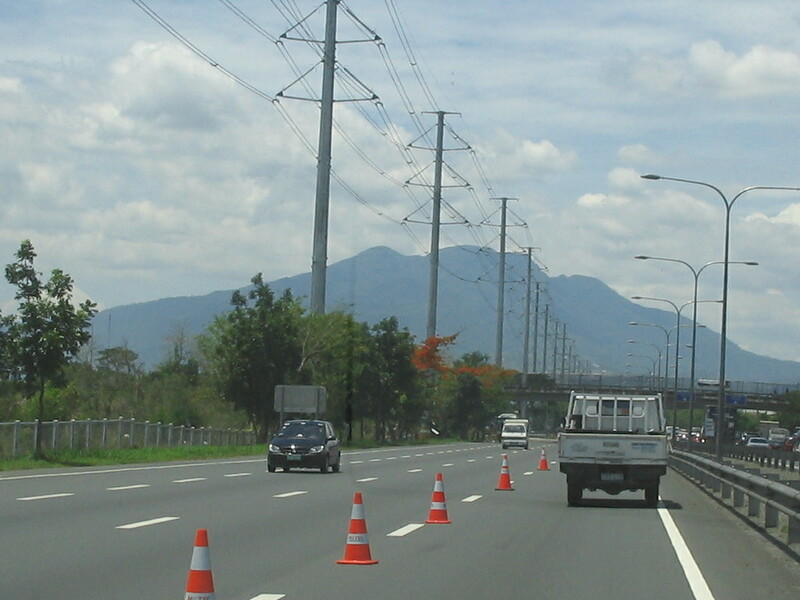 As a Metro Manila resident, I always start this trip on the South Luzon Expressway, more commonly called SLEX, going all the way to the Calamba exit. Good thing I have an e-pass since the regular exit lanes are so clogged up with the weekend holiday crowd. Otherwise, I would have had to queue with the hundreds of cars and buses on the exit. Just as well that the view up ahead is fantastic – the mythical Mt. Makiling. I have spent quite a few nights up there. Either in jamborees when I was a boy scout, and then as a scoutmaster, and also with friends in resorts past UP Los Banos. The house is now painted mint green, and in fact was a the subject of several commentaries, calling the repainting a desecration. Looking at it now, it doesn’t look bad. I figure those who never saw the original grey paint would not even mind. Visitors do not pay an entrance fee, but a donation box is prominent at the bottom of the grand staircase, as you sign the guest book. 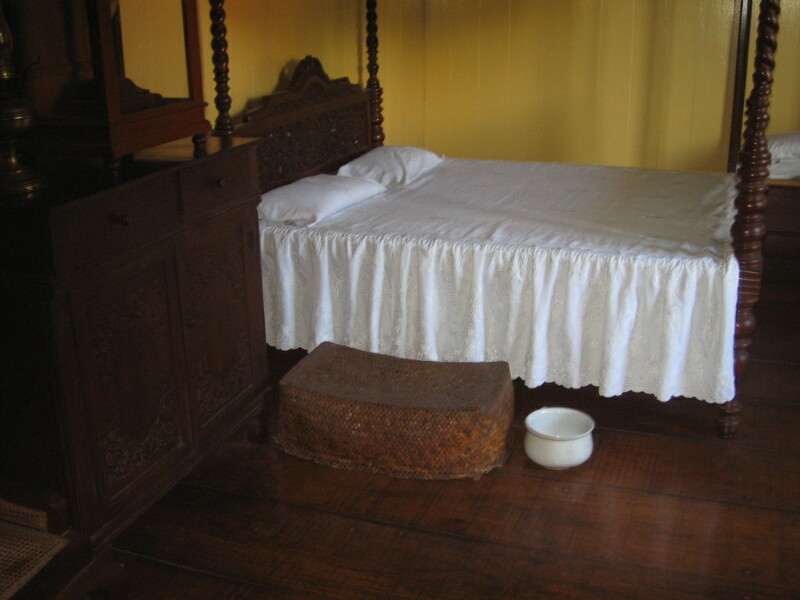 The old furniture in the largely cordoned-off sections of the house are essentially reproductions, if not really old ones donated to the museum to complete the feel of the era. 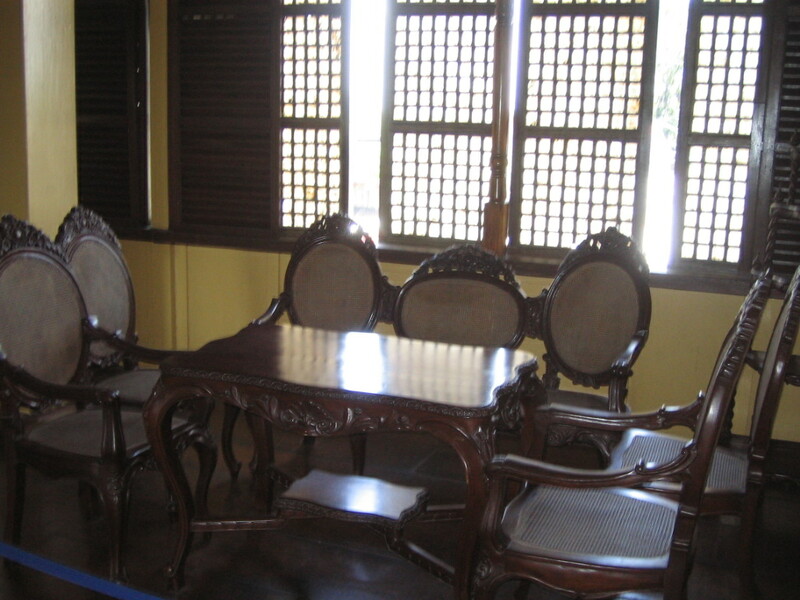 There is a “bahay kubo” at the backyard, a replica of the playhouse enjoyed by the Rizal children when they were just growing up. 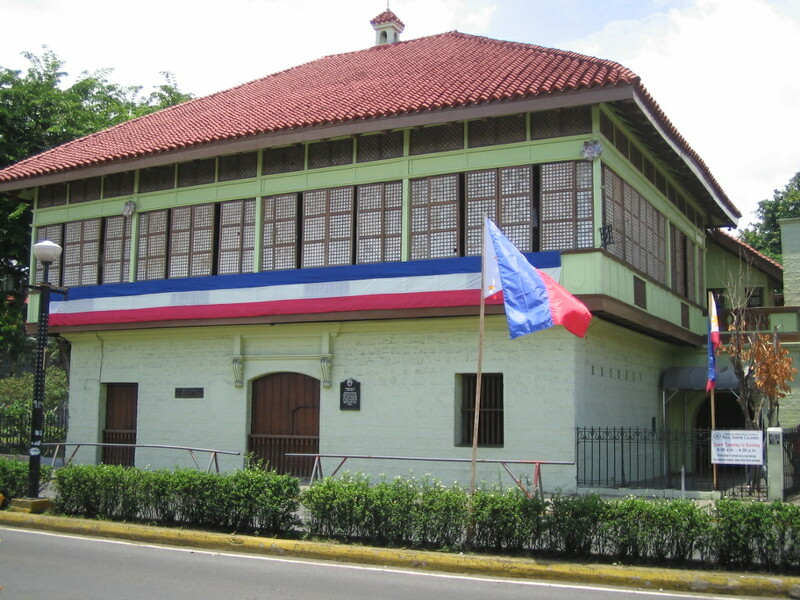 Vistors can also use toilet facilities at the end of the compound, and buy Rizal memorabilia and other Laguna souvenirs at the shop near the entrance and exit gate. This road that stretches about 6 kilometers is dotted with hot spring resorts, with maybe hundreds of “agents” holding “private pool” signages on the roadside. Start early to avoid the very heavy traffic and not spoil your journey. Families who troop to the various resorts can buy just about everything on the road, including charcoal for their grill, and ice for their drinks. 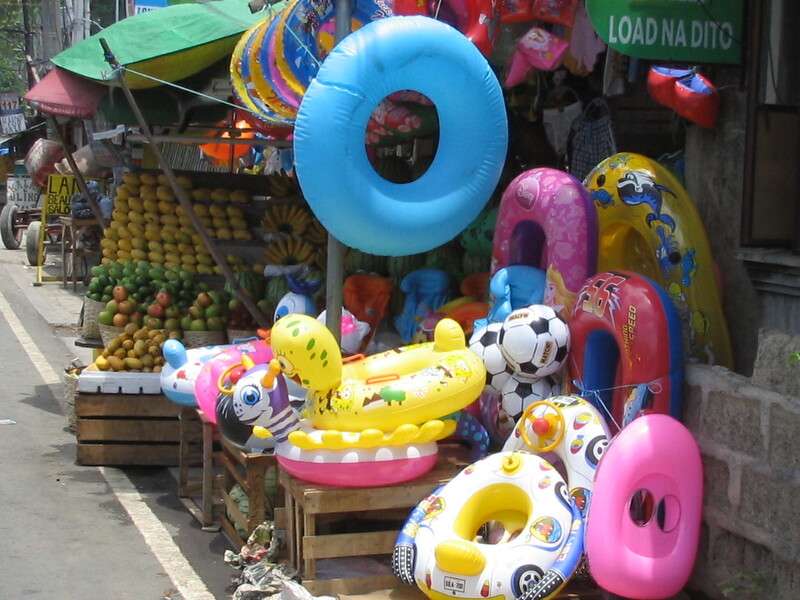 Also floaties for the kids. And a lot of food, especially Colette’s buco pie which seems to have mushroomed and can be seen within a few steps from each other. 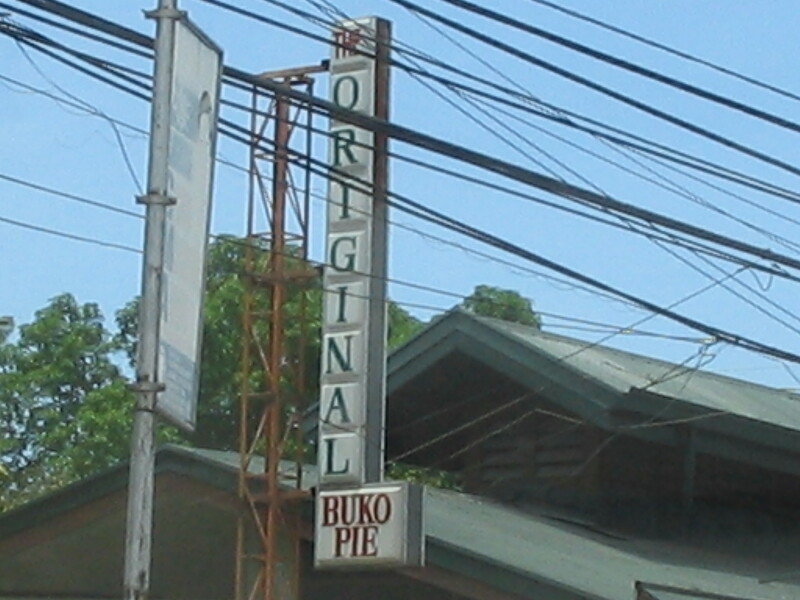 The best buco pie, however, is in Los Banos, on the left side of the road just before the turn off to UP Los Banos. The name of the store is “D’Original”, and should not be mistaken for all other “original” attached to the other brands, When I passed this morning, the queue to the counter actually snakes, while the nearby buco pie store had no customers at all. Almost in front is “Heaven’s Garden’, just so you will know where this famous store is. 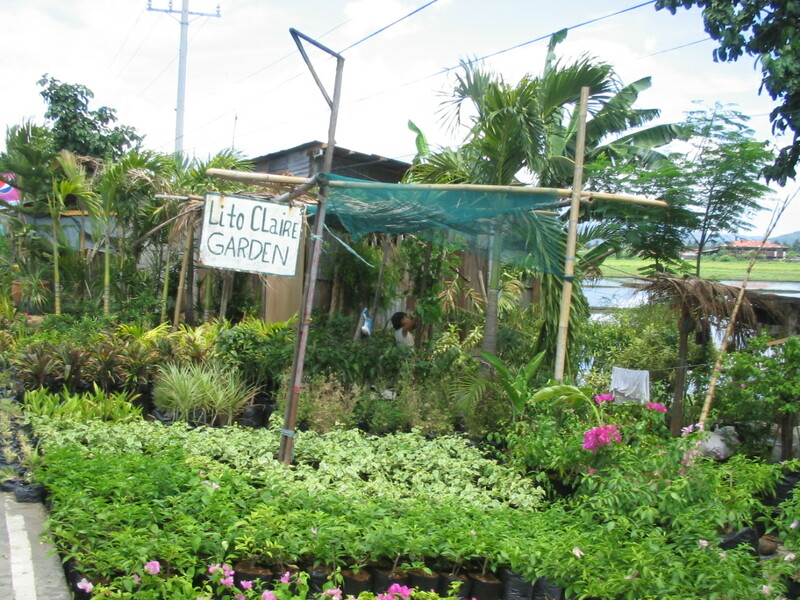 From the end of Los Banos, all the way to the towns of Bay, Pila, and Victoria are gardens selling mostly colorful bougainvillas on both sides of the road. I have made several visits to these gardens in the past, buying a pick-up load of ornamental plants. 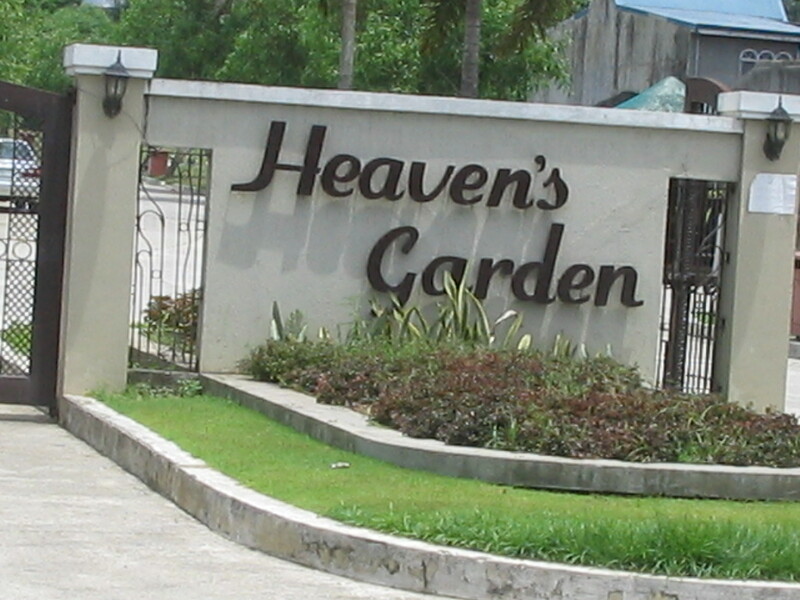 they cost about half those of the gardens in Silang, Cavite. 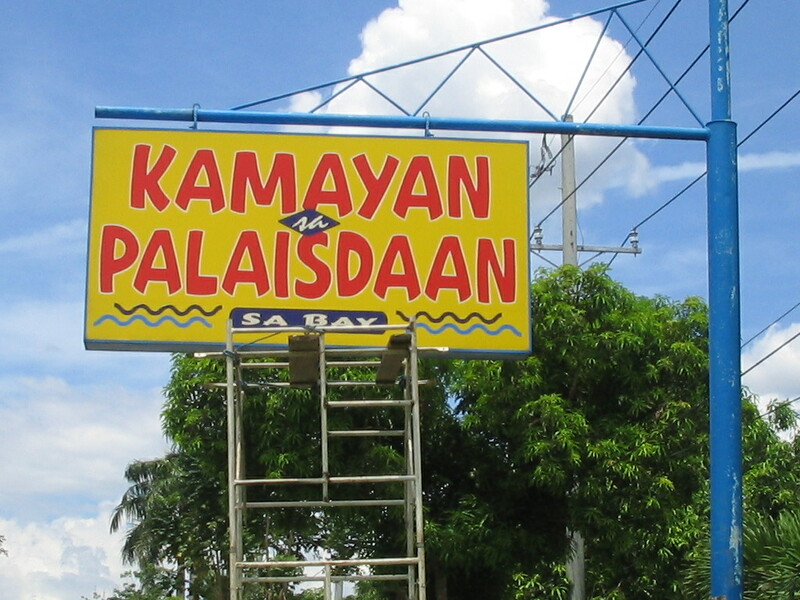 For a hearty lunch, there is Kamayan sa Palaisdaan sa Bay, a branch of the more famous restaurant in Tayabas, Quezon. The place is charming, with picnic huts on the water. native delicacies like ginataang suso, ginataang hipon. inihaw na talong, and giant pla plas that can be grilled, fried, or ginataan, too. You won’t miss the restaurant, the signboard is prominent on the road, to your right. This is a major stop that can stretch to an overnight trip. 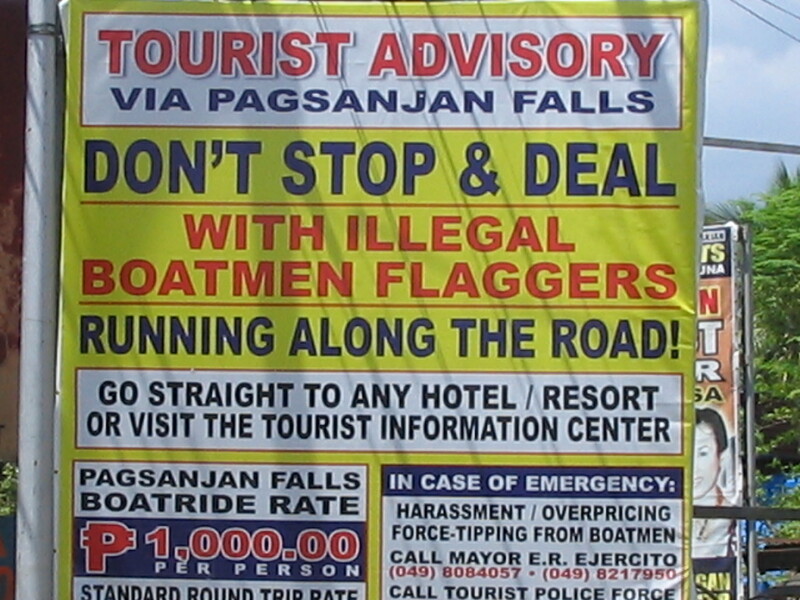 Pagsanjan is famous for the falls and the boatride upstream, “shooting the rapids”.To ride the boats, turn right at the road when you hit the Pagsanjan Church. 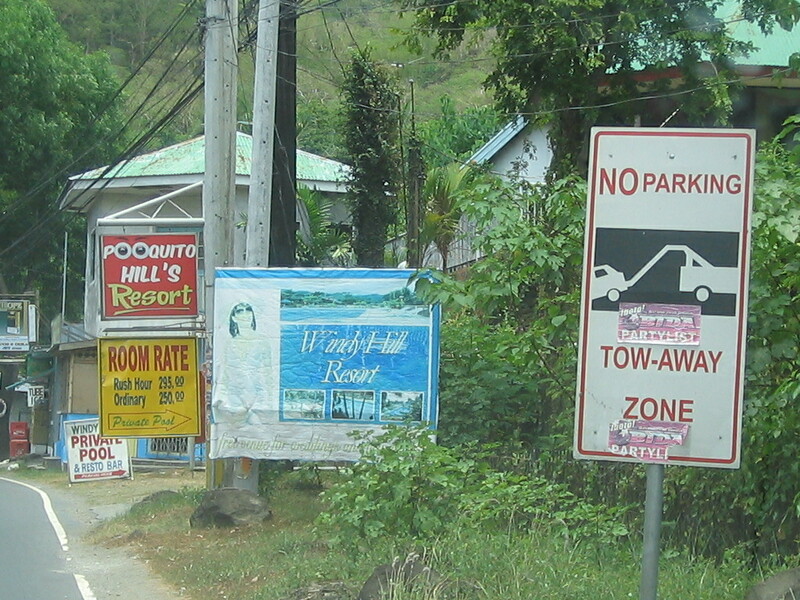 The resorts and loading areas are all there, in Barangay Pinagsanjan. Alas, the 2 best hotels I used to go to are both closed – – – Rapids Hotel, and La Corona de Pagsanjan. In fact, both have been closed for a year now. On this trip, I went to PK Paradise Resort, owned by Koreans, and with 98% of its clientele, naturally, Koreans. I had a Korean buffet lunch for P250, plus P50 for a bottle of soda. Kimchi on the side comes with the buffet. Food was good, and was actually prepared as a fusion of Korean and Filipino cuisine. 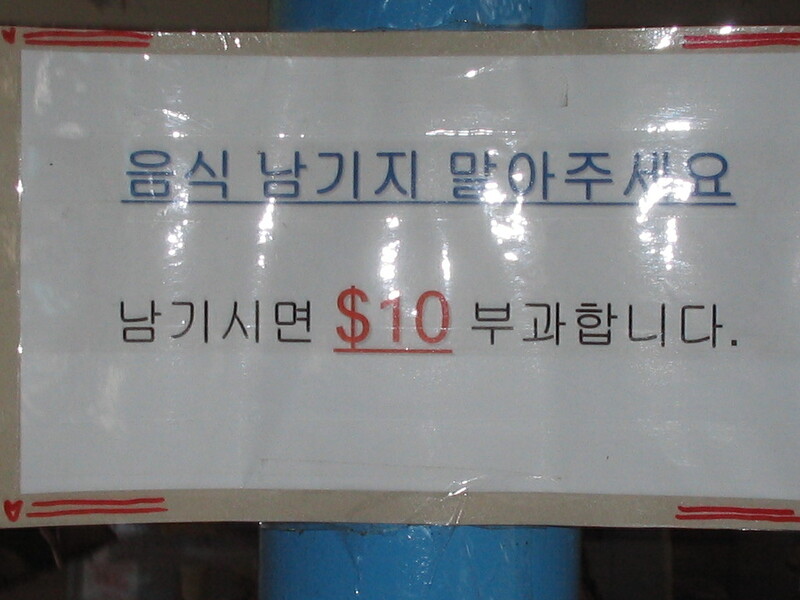 There was a Korean dish that to me seemed like adobo, and there was lumpiang shanghai, too. 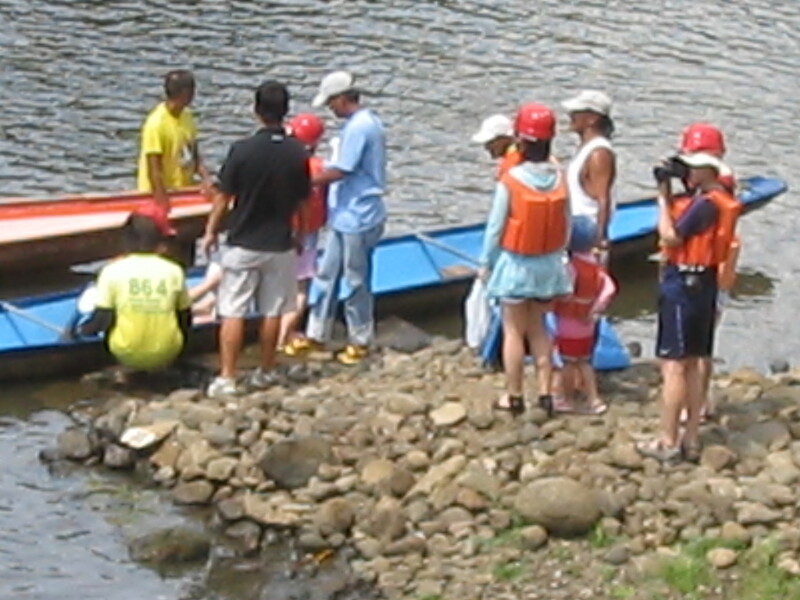 After lunch, I saw the Korean group off, ready to shoot the rapids. 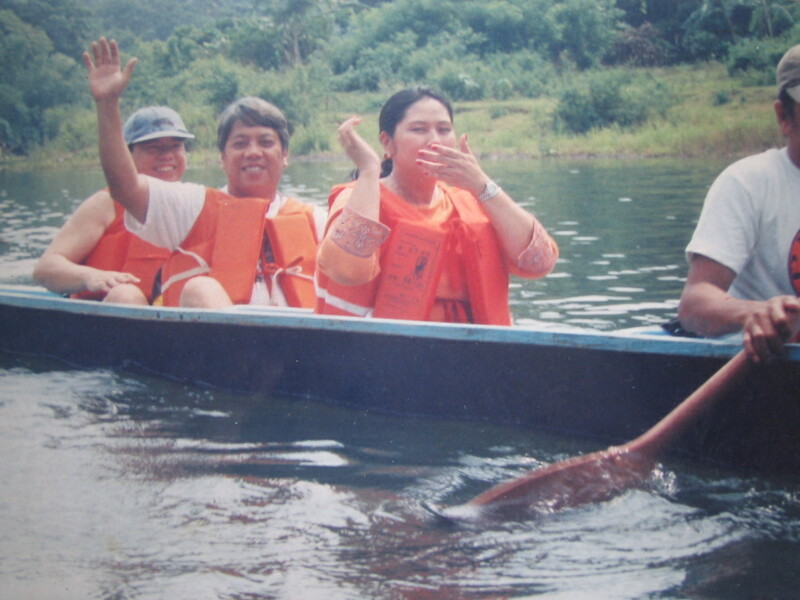 The fee is P1,000 per person, plus P250 for the ride on the raft at the end of the trip. The raft takes you directly to the area where the falls dumps gallons and gallons of water on all the visitors while on a raft. This is a very exciting experience, and must not be missed. make sure you have dry clothes to wear after the wet boat ride. And be sure to have plastic bags for your mobile phones and your wallet. I was attended to by Odie Pabilonia. You can contact PK Paradise Resort at (+6349) 5015493. Since PK does not have accommodations, I inquired about the best overnight accommodations. 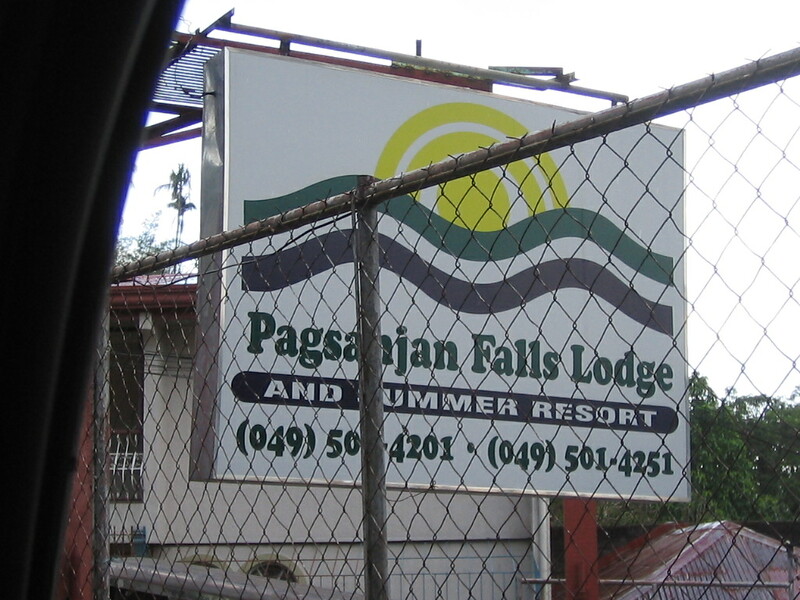 The top destination in Pagsanjan today is Pagsanjan Falls Lodge. The next best accommodation is Pagsanjan Palm Spring Resort. They are on facebook and can be viewed by anyone. 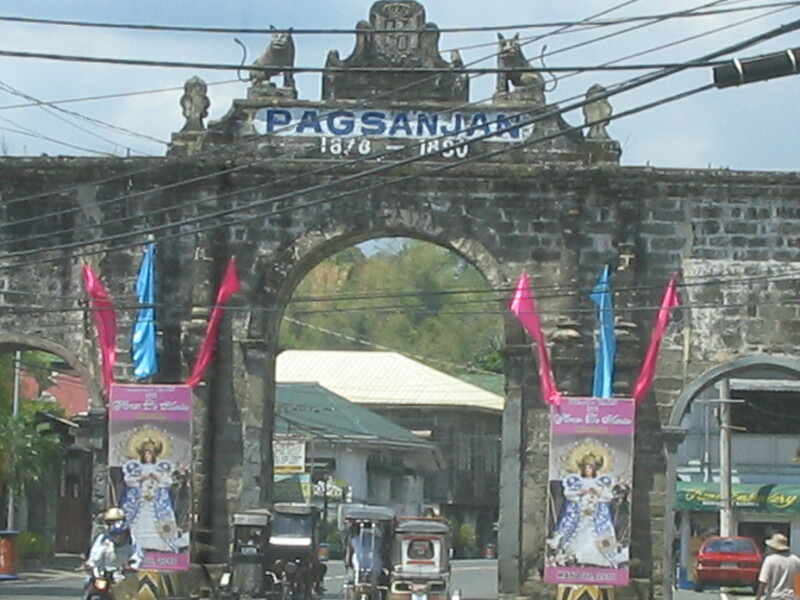 From Pagsanjan, visitors can stop in Lumban and check out the many shops offering intricate embroidery. Couturiers and fashionistas from Manila make trips to Lumban for handcrafted designs for barongs and wedding gowns. 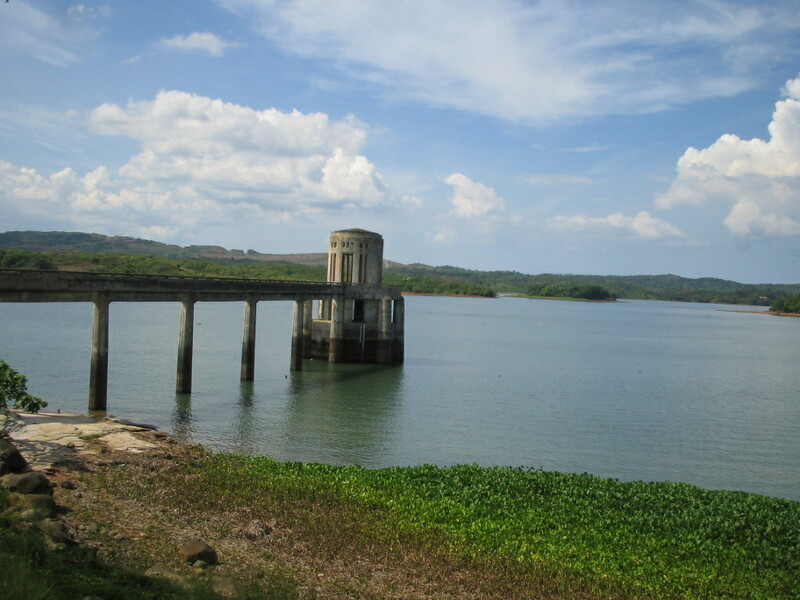 Lake Caliraya is a man-made lake built during President Quezon’s time, to dam the water from the river in order to harness hydro-electric power. 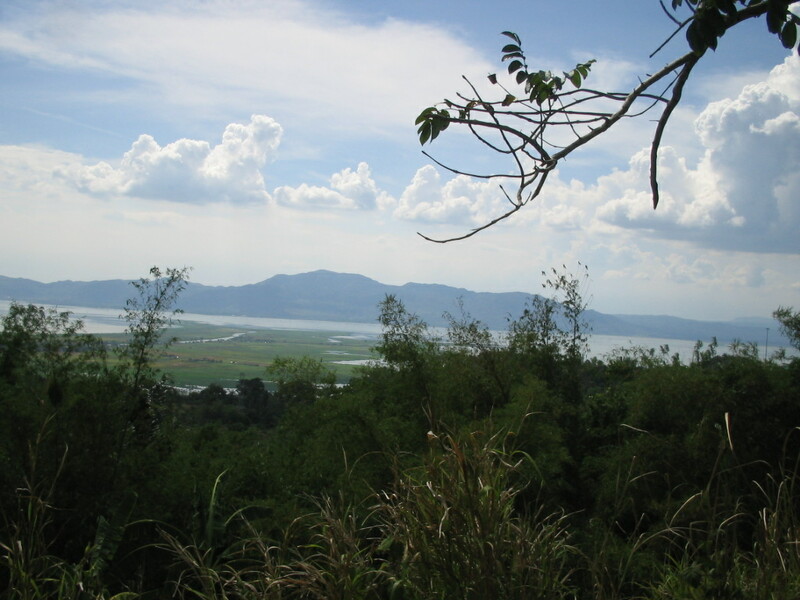 Today, it is a major rest and recreation area, with numerous resorts offering various watersports activities like boating, jet skiing, windsurfing, and fishing. While I have seen all the resorts from the outside, i have only been to Lagos del Sol, acknowledged as the best accommodation facility in Caliraya, and referred to by others as 5-star. Even if it technically is not. I went to Lagos del Sol on a company outing and thoroughly enjoyed my stay. They have hotel rooms at P2,900 and beautiful lakeside cabanas for P4, 800. They have complete resort facilities – – – swimming pool facing the lake, tennis, billiards, darts, and water sports facilities. Phone (+632) 9104203 to inquire, or to reserve a room. 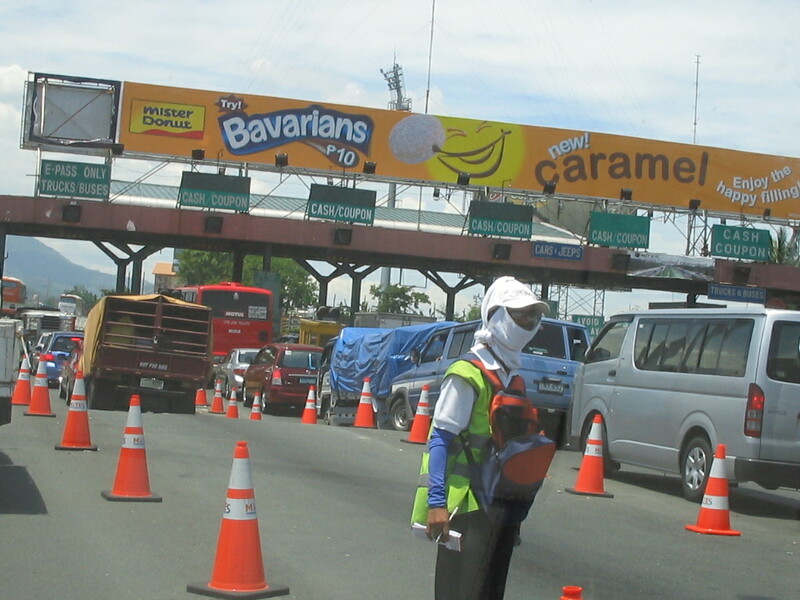 In fact, I would rather stay in Lagos del Sol than in Pagsanjan if I am on this loop. 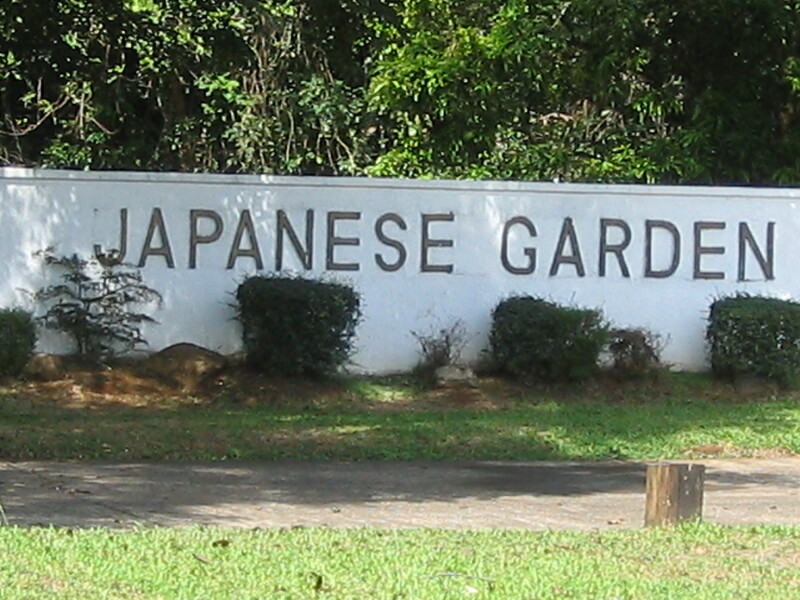 Don’t miss the Japanese Garden, built in cooperation with the Japanese government to honor the Filipinos and the Japanese who died in World War II. It is an 11 hectare park with huge trees, a pond with lilies and lotuses, and a Yamashita shrine. Picnic tables are available within the park. Entrance fee is P10. 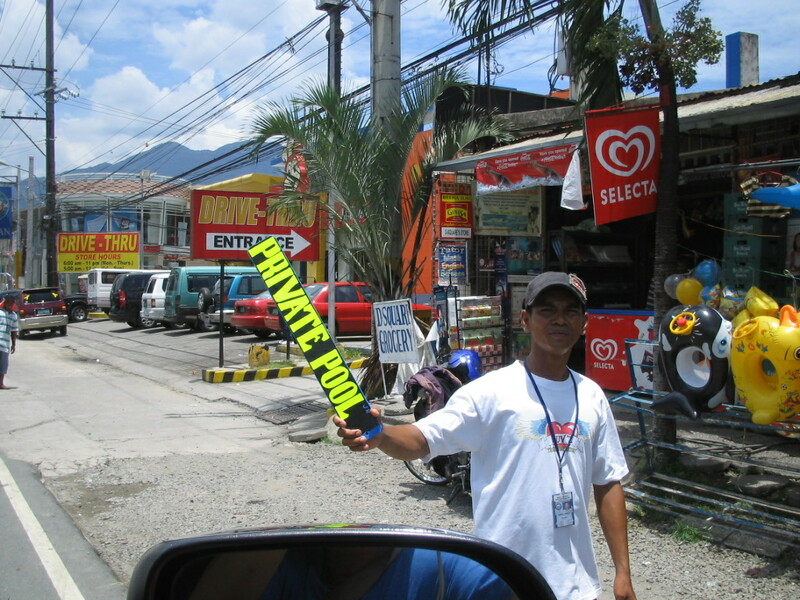 Before crossing the mountains to the Rizal towns, explore Paete. 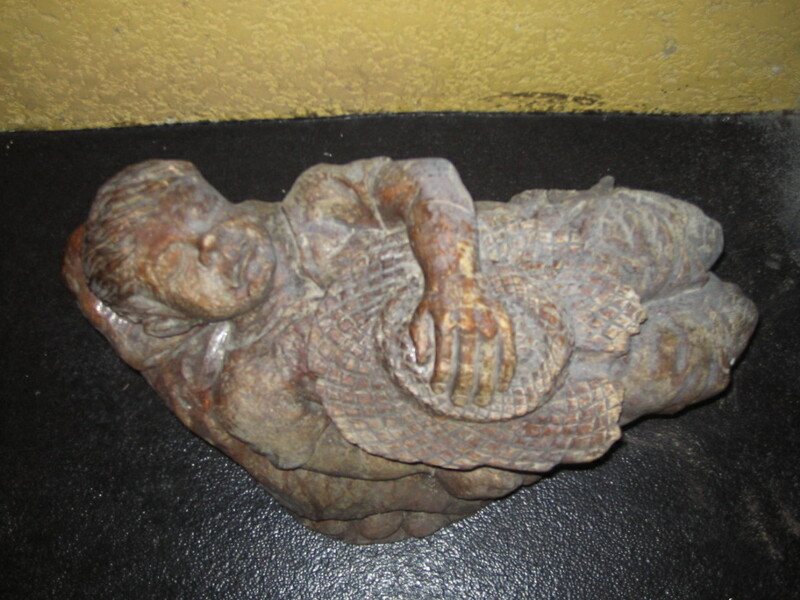 Paete is a must visit for the wood carving and the “taka”. 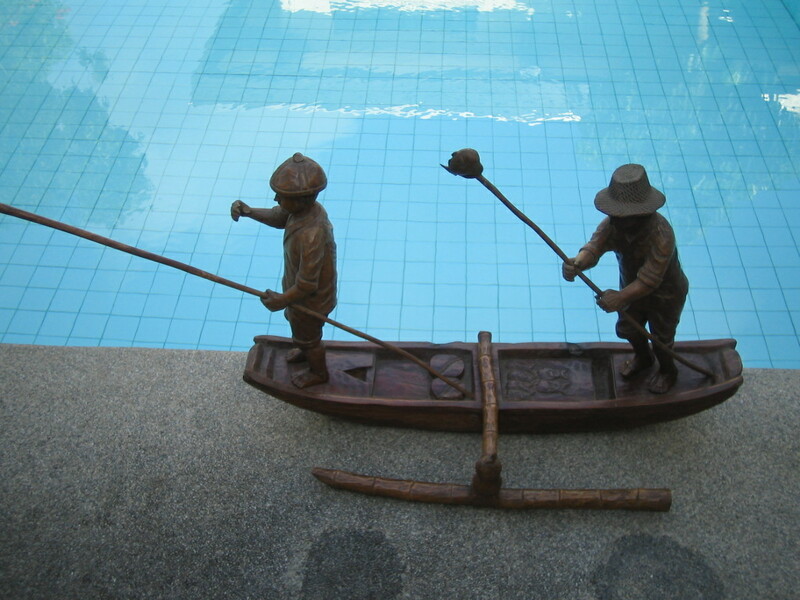 In my previous trips to Paete, I have bought excellent work by the artist Baldemor, one depicting a boy in a siesta, and another depicting 2 men on a boat, fishing. If you are not in the market for artwork, then Paete will still be an interesting stuff for knick knacks, and early shopping for Christmas presents will definitely cross your mind. 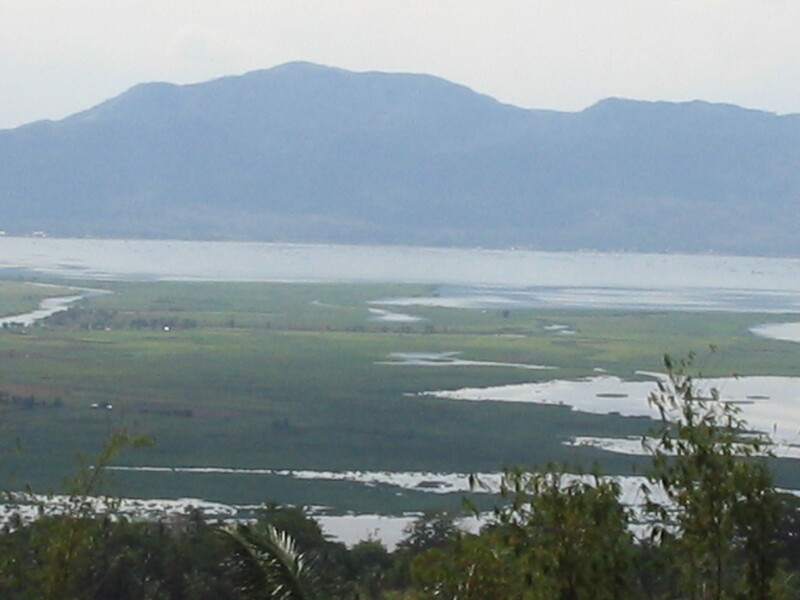 Mabitac is the last town of Laguna that extends up to the mountains, sharing boundaries with the town of Pililla in Rizal. 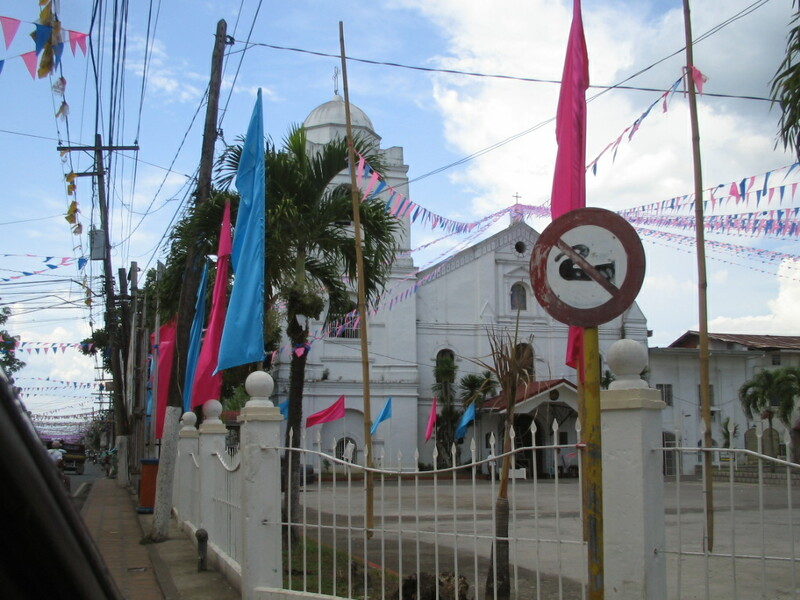 Read about the Rizal towns within the Loop in Part 2 of this blog.